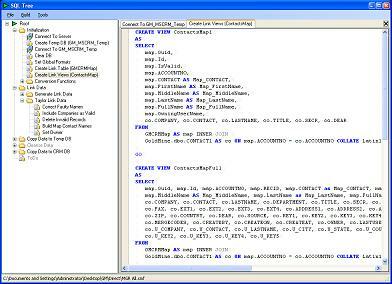 Description: SQLTree lets you organize and execute your SQL statements in a tree structure. You can execute a single script, a whole branch, or all the items in the SQL script tree structure (default). 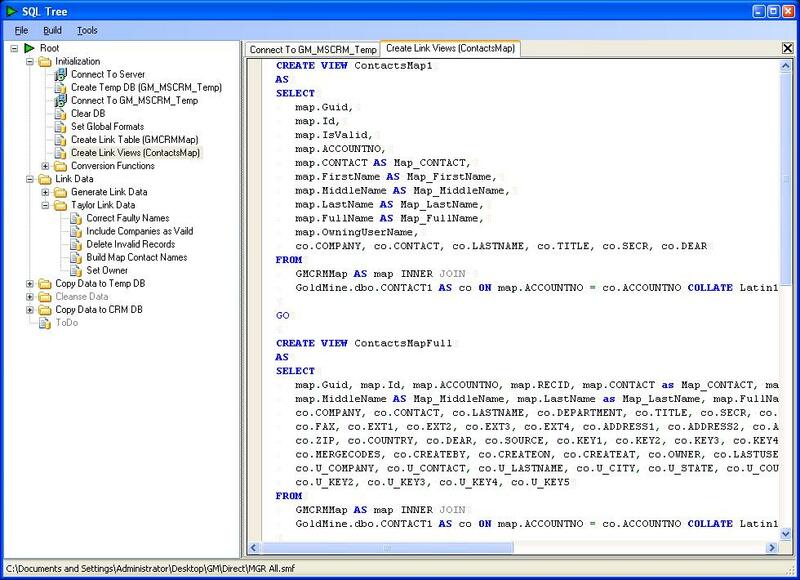 Currently this tool will only execute scripts on a Microsoft SQL Server (Tested on Microsoft SQL Server 2005). I am thinking of adding support for other databases in future if there is sufficient demand. with a feature request to let me know if you would benefit from support for a different database. SQLTree requires Microsoft .NET Framework v2.0 to run. 20. August 2007: Version 1.1: Fixed a number of bugs and added a "Display Results" Action. 12. July 2007: Version 1.0 released.